Artesian BarThe UK’s Artesian serves a killer cocktail. Some bars sling well drinks and draft beers for the masses. Others elevate cocktail-making to a fine art. We’ve now put together the ultimate list of top spots around the world. 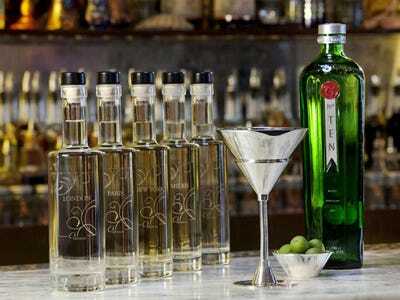 Drinks International recently released its annual list of the World’s 50 Best Bars, which are voted on by a multinational academy of 334 bar buffs. Pubs, taverns, speakeasies, lounges — these guys have visited them all. From Sydney to Singapore (and don’t forget Seattle), the list hits four continents and 14 cities. We’re taking a closer look at the top 25; see the full list here. Don't be confused by the name: This classic cocktail lounge is actually in Hamburg, the cultural center of northern Germany. 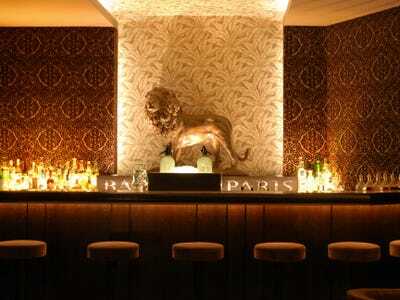 It features a big lion statue behind the bar and the bartenders use a 'golden liquid' (Kina L'Avion D'Or vermouth) in some of their most popular cocktails. You don't have to go to Cuba to feel like Ernest Hemingway -- try Prague instead. 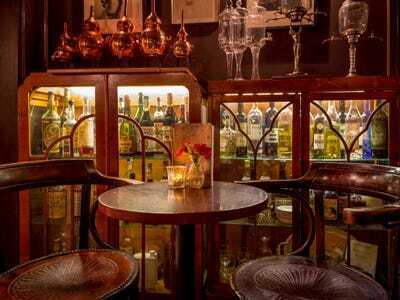 Named for one of the world's most legendary drinkers, this bar offers more than 200 kinds of rum, and special rum-tasting sessions where shots are interspersed with chocolate, nuts and dried fruit. It also comes with a pretty serious list of rules -- including no changing seats and no talking to strangers -- designed to keep the place quiet and the atmosphere relaxing. At first glance this Islington bar, also known as 'The Bar With No Name,' appears simplistic and its menu pretty standard. But take a closer look at the cocktail list and you'll find an assortment of unique ingredients mixed into your favourite recipes. 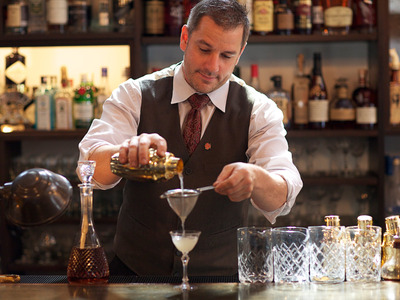 It's the result of serious study by bartender and owner Tony Conigliaro, who runs a 'Drink Laboratory' upstairs, where he uses state-of-the-art molecular mixology equipment to reinvent classic cocktails. Located in the Freehand Miami hostel, James Beard Award-nominated The Broken Shaker is the perfect mix of old and new. You can lay by pool and sip a salted caramel old fashioned or try a kale and pineapple caipirinha. Check out the backyard in their Instagram photo gallery. Hidden behind an an unmarked door (at which guests have to knock to get in), Buck & Breck mixes a tiny-speakeasy-vibe with sleek German decor. Its single black room houses one crocodile-skin-covered table that seats 14 people. Cocktails are served in copper brass cups and consist primarily of dry gin, whiskey, and brandy, according to Best Bars Europe. 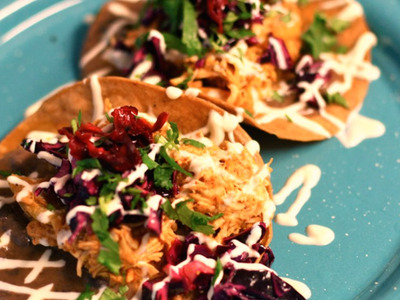 This Hoxton spot doesn't take special requests, so don't even try. Drinks are premixed and NEVER include citrus or ice. Instead, they keep more than 500 bottles of already-perfected cocktails in refrigerators and freezers, and leave recipe experimentation to the off-hours. 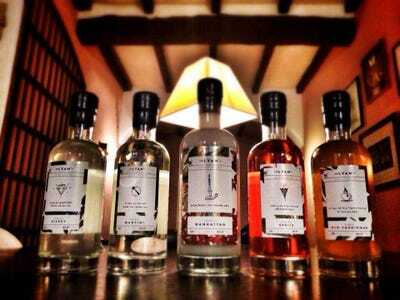 Specialties range from the beeswax old fashioned to the fig leaf colada. Wedged between a cafe on the ground floor and a tattoo parlor upstairs, Bulletin Place is the brainchild of World Class Bartender winners Tim Philips and Adi Ruiz, and partner Robb Sloan. 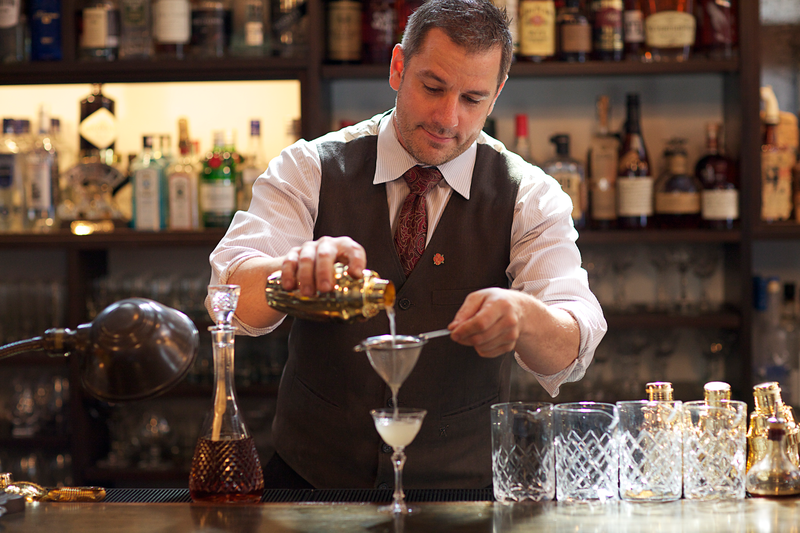 It's also the cocktail bar winner of the 2014 Australian Bar Awards. Drinks change regularly but you can read what's available on butcher's paper list hanging behind the counter. 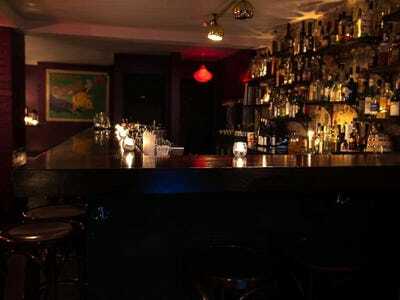 This speakeasy is only accessible through a fake phone booth inside Crif's Dogs, a hot dog joint in the East Village. Bacon-infused bourbon is a popular liquor of choice -- and don't forget the maple syrup. But the best part about this cozy little lounge is, once you're through the secret entrance, you can still order from Crif's full menu. Because who doesn't want a hot dog with their cocktail? 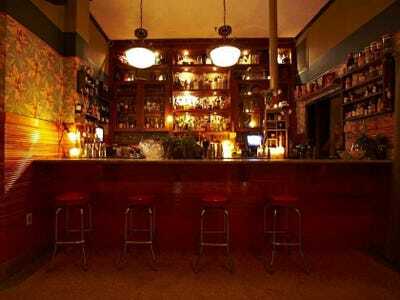 Half taqueria, half bar, Candelaria offers tasty Mexican food, Latin American-inspired drinks, and a hip, Parisian vibe. The cocktail list is loaded with mescal, tequila, pisco, and cachaça -- not to mention French staples like cognac and absinthe. Don't forget to ask for their reserve cocktail menu with some of the best original recipes from bars and mixologists around the world. 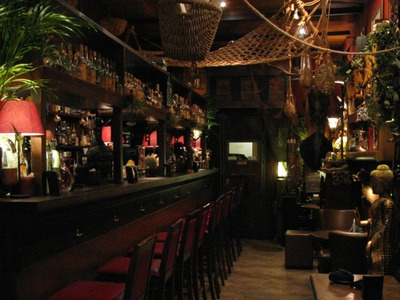 This tiki bar feels Caribbean and looks like the inside of a pirate ship. Rum is their strong suit: they serve more than 400 varieties, and the drink menu lists more than 70 different cocktails. If you're really feeling eager, they will give you a punch card to track which ones you've tried. 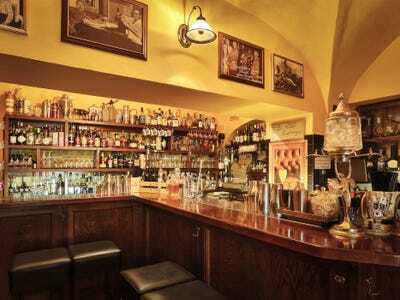 The World's 50 Best Bars describes this Italian pub like Indiana Jones' attic. Owner Dario Comini picked up the name from another bar while travelling in Asia -- and apparently he picked up a few other things, too. It's packed with Buddha statues, nautical knick-nacks, and exotic animal skins and mounts. But the cocktail list is one to be reckoned with: it lists more than 1,000 drinks. It doesn't get much swankier than the Elephant Bar in Manhattan's NoMad hotel, which features a 24-foot-long mahogany bar and a classic cocktail list that changes seasonally. The Manhattan is a staple. 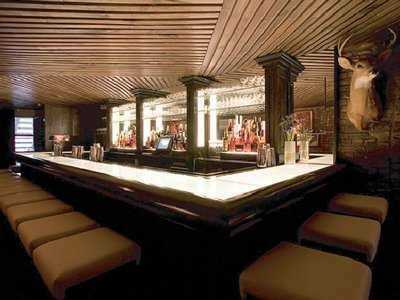 The Aviary is based in Chicago's meatpacking district. 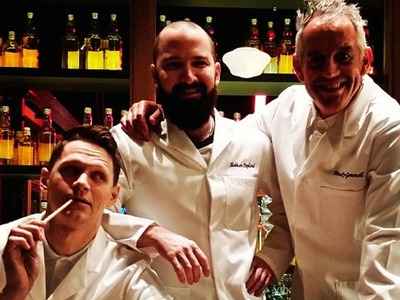 Bartender Charles Joy has won a whole slew of prestigious awards. At The Aviary, they're so serious about perfecting their cocktails that they have a full-time 'Ice Chef' who makes different flavours of ice to complement each drink. There's also a basement speakeasy called The Office, accessible by invitation only. Happiness Forgets may have the world's greatest slogan: 'Great cocktails, No Wallies' (British slang for fools). It's a down-to-earth, no pretensions place in what their website calls a 'low rent basement.' Understandable, considering they're located in trendy Hoxton Square. 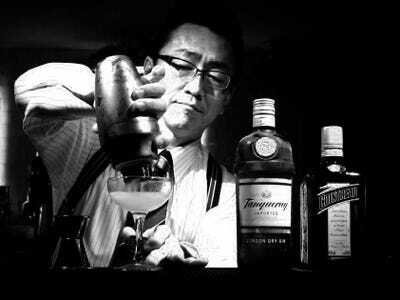 Try the Earl Grey MarTEAni or the Tokyo Collins, a Tom Collins variation that includes Yuzu sake. 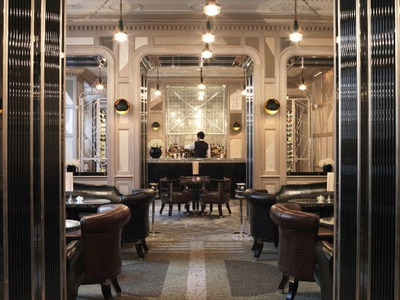 From the white-gloved doormen to the crisply-dressed Italian mixologist behind the bar, Connaught Bar oozes luxury. Martinis -- 'quietly stirred, never shaken' -- are served on a trolley. They also offer a 'Whiskey Concept' tasting, pairing liquors like 17-year-old Balvenie Double Wood and Johnnie Walker Platinum with three kinds of homemade chocolate. 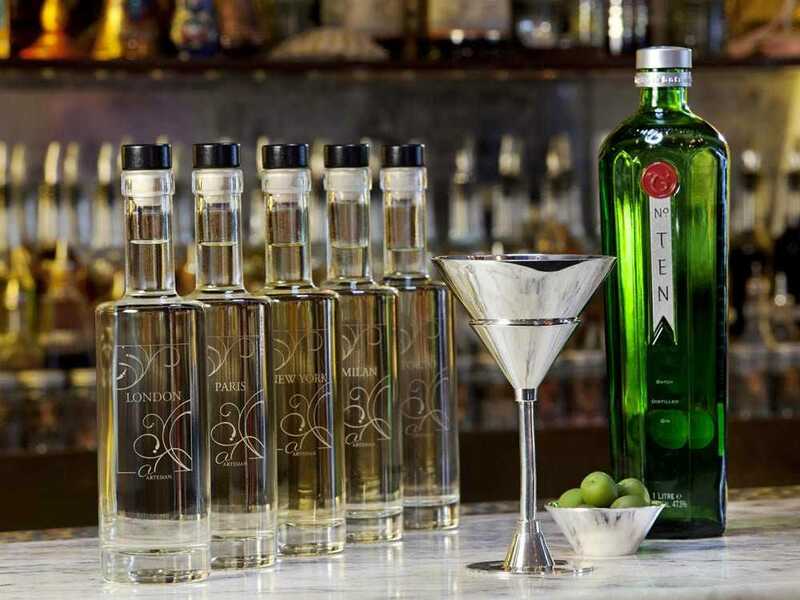 28 Hong Kong Street was created to rival New York's growing cocktail bar scene. It boasts a host of world-class bartenders, including Michael Callahan, 2011 US Bartenders' Guild Cocktail World Cup winner, Peter Chua, a Diageo Reserve World Class Bartender of the Year finalist, and the recently-signed David Cordoba, currently global ambassador for Bacardi, and Bacardi ambassador Arijit Bose, who will become head bartender. At 28 Hong Kong Street, cocktail ingredients are always fresh -- sometimes so fresh they're grown right on the rooftop. Bartender Hidetsugu Ueno, one of Japan's most celebrated bartenders, is known for his masterfully sculpted diamond ice cubes. He's also known for his super-precise hard shake, and his ability to mix drinks to customer's tastes, sans menu or recipe. Check out Ueno's bar-top ice-cutting skills here. 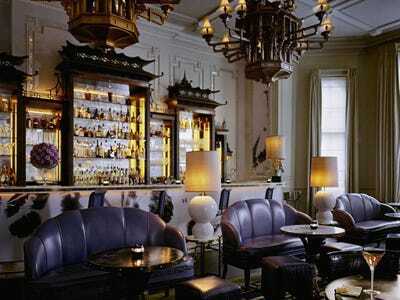 The American Bar, located in London's Savoy hotel, is the oldest bar on this list. Opened in 1889, it's named for the 'American'-style drinks, or cocktails, it serves. It was home to legendary bartender Ada 'Coley' Coleman, who created the Hanky Panky cocktail, and Harry Craddock, who wrote the Savoy Cocktail Book. A century and a quarter later, the place is still rocking -- they just launched their 125-year anniversary menu, with historically inspired cocktails grouped into 25-year eras. 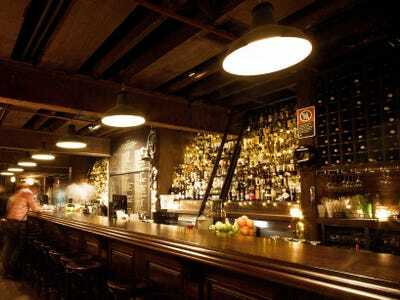 Australia's highest-ranking bar this year, this basement inn is best known for its whiskey selection. Rows of shelves behind the bar hold some 630 varieties, accessible via a library-style ladder. The Baxter is the brainchild of Anton Forte and Jason Scott, who also run Sydney's Shady Pines, which made this year's top 50 list. Clearly these guys know what they're doing. The guys at Canon take their whiskey and bitters seriously. So serious, in fact, that the bar itself is stained with Angostura bitters. 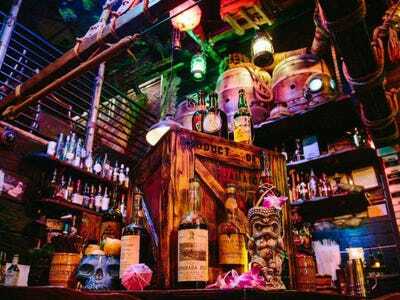 Their 130-page drinks menu, dubbed the 'Captain's List,' boasts some 3,300 bottles of spirit and items ranging in price from $US6-$US1,500. If you need time to mull that over, fear not: scan the QR code next time you stop by and download a digital copy for study. 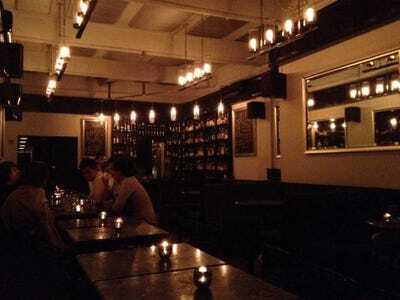 This West Village watering hole has a Roaring 20s atmosphere. In keeping with that theme, the website provides gangster-inspired staff bios and sepia headshots. You know you're in New York when a bar has three categories of supper reservation: dinner (6 pm-12 am), late night (12 am-3:30 am), and pre-theatre (6-7 pm). And don't forget the drinks menu, which features all your favourite classic cocktails. 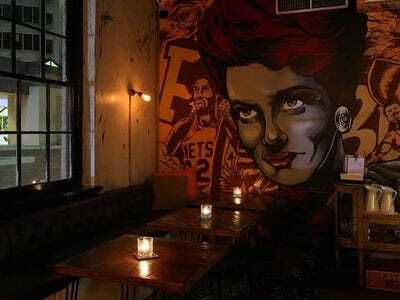 Attaboy replaces New York's ultra-trendy, underground Milk & Honey bar. When Milk & Honey's owner Sasha Petraske left, employees Michael McIlroy and Sam Ross hung back and created Attaboy in its place. It's almost as hip as its predecessor, and still too underground for a website. Attaboy is M&H's brighter, more colourful sister, but the mainstay of the New York institution remains: its top-notch cocktails and specialty creations, emulated by mixologists the world over. 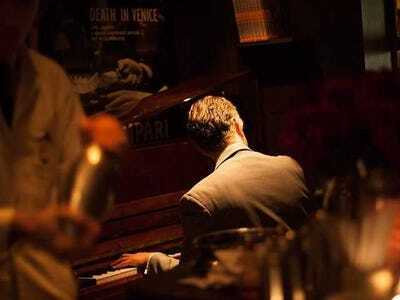 One of the world's best three bars for the third year in a row, London's top speakeasy has an air of 20s glamour, with Prohibition-era drinks and regular live swing music. 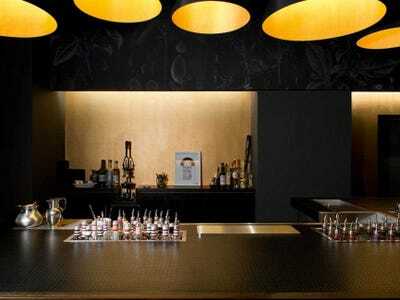 With master mixologists Marian Beke and Luca Cinalli, it consistently ranks one of the top bars in the world. 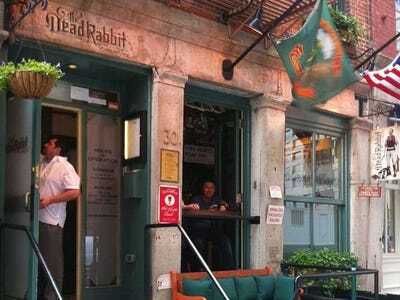 Located in Manhattan's historic financial district, The Dead Rabbit is a classic Irish pub that embodies the spirit of Old New York. An informal taproom on the ground floor serves craft beer, punch, and low-key lunch grub. 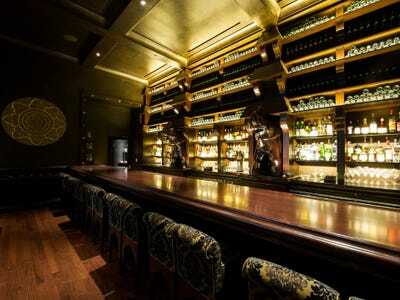 The upstairs parlor is where you'll find their nineteenth-century-inspired cocktails (72 varieties, to be exact), prepared by some of the best bartenders in the world. This is it. The crème de la crème. For the third year in a row this polished Regent Street hotel bar topped the list, and this year, voting wasn't even close, The World's 50 Best Bars said. The cocktail list changes theme yearly. This year it was Unfolding and Exploring - one highlight being the Camouflage, a golden pineapple loaded with gin and sandalwood. But there is reason to visit this bar. Drinks are the perfect mix of classic cocktail and creative innovation, but the real clincher is the jaw-dropping service.